This Ukrainian heirloom, a.k.a. 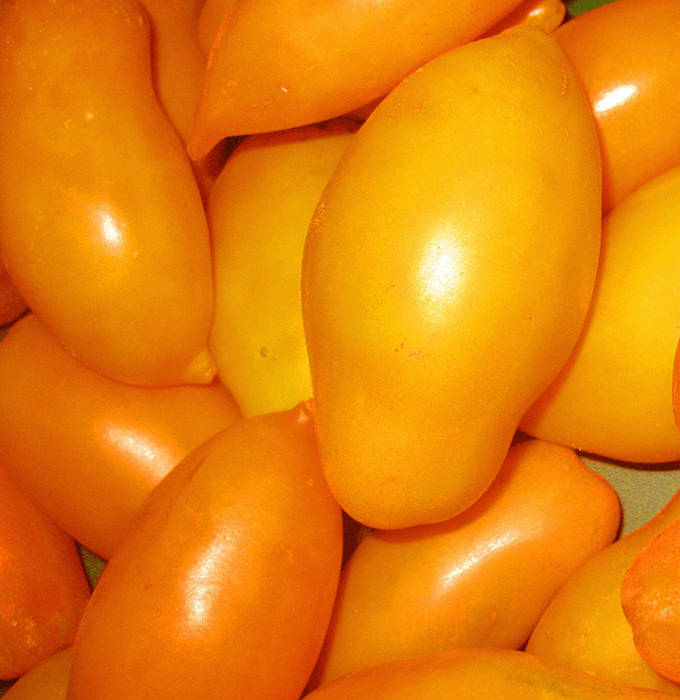 Sosulka Oranzhevaya, is the earliest and heaviest producer of the Ukrainian paste tomatoes we offer. Solid bright orange 4-6 oz. fruits start slow but come on strong right up until frost. Flavor is sweet and zesty with citrus overtones, making it a hit for fresh eating as well as for salsas and sauces.